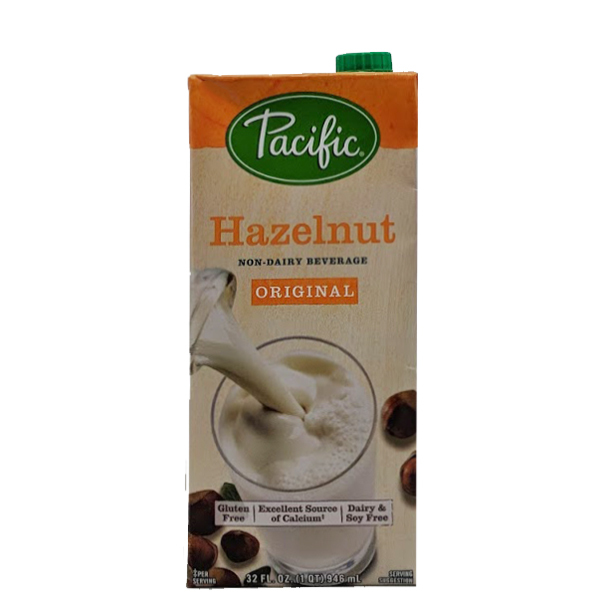 Pacific Foods Hazelnut Original Non-Dairy Beverage uses hazelnuts harvested from Oregon orchards that impart a deliciously subtle flavor. 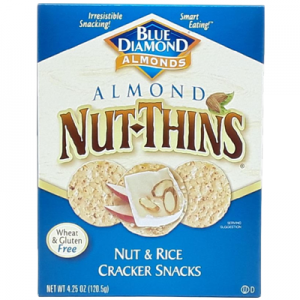 This hazelnut beverage is perfect by the glass, in coffee, or recipes, and is a good source of Calcium and Vitamin D. Lactose, cholesterol, soy and gluten free. 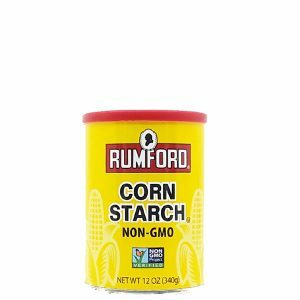 Serving Size: 1 cup (240 mL) Servings Per Container: About 4 servings Amount Per Serving (% Daily Value*) Calories: 110 Total Fat: 3.5g (4%) Sodium: 115mg (5%) Total Carbohydrate: 18g (7%) Dietary Fiber: 1g (4%) Total Sugars: 13g Includes 13g Added sugars (26%) Protein: 2g Vitamin D: 2mcg (10%) Calcium: 123mg (10%) Not a significant source of saturated fat, trans fat, cholesterol, iron, or potassium. *Percent Daily Values are based on a 2,000 calorie diet.